You've made it to the third blog of our series. Congratulations! So far we've shown you how to spruce up your website and prune your SEO. This week we're moving on to your MarTech Tools. We’ve entered into an era where the abundance of technology helps us do our jobs more efficiently. And because of technology, we have become more collaborative and competitive. In fact, Gartner has predicted that CMOs will spend more on technology than CIOs in 2019, accounting for 29 percent of the total marketing expense budget. Even though spend and adoption are increasing, the ability to utilize these tools is not. That means organizations are leaving money on the table. We have so many tools at our fingertips – project management, social, PR, email, content, and more – and the proliferation can become overwhelming. To rein in the chaos, look at your current tools to ensure that your company isn’t wasting money, letting old programs collect dust, and missing opportunities by not using your tools to the fullest. This audit will help your organization keep track of all the necessary information about your tools, especially if the employee who initially set up the subscription is no longer available. Share and update this spreadsheet with your team, but also make it habit that anytime a new tool gets added to your MarTech stack that it gets added here as a first step. This will ensure that your company is regularly optimizing its MarTech for the highest and best use. 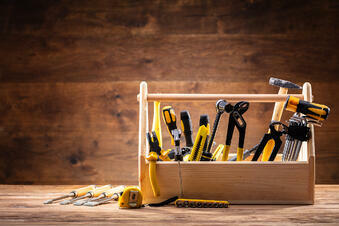 Too many tools will end up costing your company money. Utilize the audit spreadsheet to help your team evaluate each MarTech. Discuss which are driving your company forward and increasing efficiency and which are not being used and wasting money. Also, check to see if any of your tools overlap and offer the same features. For example, are you using three different social media tools that allow you to schedule posts, engage with contacts, and monitor your channels? If so, it’s time to consolidate and choose the tool that will bring the most value to your organization. While reviewing your audit, look for gaps in your MarTech. Could business processes be automated to improve efficiency and save your employees time and money? If so, research platforms that could fill in the gaps. You might also find new tools that also accomplish what a current MarTech does and more. This is a strategic way to consolidate and bring additional value to your organization. Also, look into the platforms you use and see if they’ve released any new features. Most software programs release updates and features you can add throughout the year. HubSpot has found that the top marketing challenge for companies is identifying the right technologies to fit their needs. To make that process easier, build a spreadsheet that outlines pricing, features, the length of subscription, and how a tool could benefit your organization. Before deciding on a piece of technology, establish a budget and have multiple team members try a demo or free trial. That way, employees who would be using a tool can help determine whether it would increase their productivity and fit your organization. Also, make sure to research whether it integrates with your existing tools. This will come in handy when you want to run reports on the health and impact of your marketing efforts. Make sure to be strategic when adopting new technology and establish a process for adding tools in the future. Going forward, maintain your audit and evaluate new software thoroughly before adoption and have multiple team members try a demo or a free trial that way employees who would be using the tool can easily get certified in each platform. Subscribe to our blog and stay tuned to the next part of this Spring Cleaning Series.